The recipients are Iman Abdoulkarim ’17, Nicole Castillo ’17, Sharon Cho ’17, Apoorva Dixit ’17, Evelyn Fernandez-Lizarraga ’16, Devyn Greenberg ’17, Michaela LeDoux ’17, Liane Makatura ’17, Daniel Miller GR’17, Emma PeConga ’16, Jocelyn Powelson ’14, Travis Price ’11, Jordan Terry ’15, Clara Wang ’17, and Joshua Warzecha ’17. Kristen Hinckley ’17, Natasha Maldi ’16 and Molly Siegel ’16 were selected as alternate candidates. Dixit, who will be studying the after-effects of the Bhopal industrial disaster in India, said that she was motivated to apply for the award because her family is originally from Bhopal. In 1984, a gas leak occurred in Bhopal and 500,000 people were exposed to toxic methyl isocyanate gas. Dixit recalls hearing stories of the disaster from her relatives and said she is looking forward to studying Bhopal more formally. She explained that her research will focus on how the disaster affected Bhopal’s political trajectory and significance and how the city recovered from the disaster. Dixit also mentioned the cross-cultural emphasis of the Fulbright program and said she was excited to connect with her heritage. PeConga, who will be investigating cost-effective psychological therapy interventions for Syrian refugees in Copenhagen, Denmark at the Danish Institute Against Torture, said the Fulbright grant appealed to her because of the wide range of global opportunities available to award recipients. Another factor in her decision to apply was that she already had a specific research project in mind. PeConga said she is excited to be immersed in Danish culture because global happiness surveys consistently rank Denmark very highly compared to other countries. PeConga said her experience will be the culmination of a lifelong ambition. “It’s like following my dream of being a therapist for a traumatized population,” she said. Michael Beechert ’16, one of last year’s Fulbright scholars who studied global jurisprudence trends in Germany, said he decided to apply for the grant because he wanted to return to Germany after participating in two German study abroad programs through the College. Beechert said that his experience reaffirmed his desire to attend law school at Yale University, where he has already been accepted. Jake Levine ’15, another former recipient of the Fulbright grant who taught English in Medellín, Colombia from 2015 to 2016, said that his favorite part of his experience was the opportunity to fully immerse himself in Colombian culture. He said that while he always intended to become a doctor, his experience as a Fulbright scholar in Colombia inspired him to more seriously explore global health as a career path. Levine said that he may one day return to Colombia to fulfill his desire to assist an under-served population. He added that his experiences in Colombia have improved his Spanish language skills, allowing him to more effectively interact with Spanish-speaking patients at Icahn School of Medicine at Mount Sinai, where he is a student this year. Levine, who played rugby at Dartmouth, also had the opportunity to coach a youth soccer team while in Medellin, an experience he enjoyed bridging with his Fulbright teaching. “I always wanted to find a way to combine sports with [my teaching] there,” Levine said. The College’s Fulbright coordinator Holly Taylor said this year’s winners represent a diverse range of interests and experiences, with a roughly even split between candidates who chose to pursue research and those who will be teaching. Taylor explained that most of this year’s Dartmouth-affiliated winners sought College endorsement of their applications, but two applied at-large, which means that they did not receive College endorsement. Candidates who apply with College endorsement receive assistance with the essay, interview and research components of their applications. Levine, PeConga and Dixit all identified the College’s support as helpful to them in their application processes. Taylor said that to give prospective applicants more information about different Fulbright possibilities, her office began publishing information about specific programs and their acceptance rates on her office’s website. She explained that acceptance rates for individual Fulbright programs can vary widely from eight to 60 percent. The original version of this article did not mention that Elizabeth Doe Stone '12 was also awarded a Fulbright scholarship. 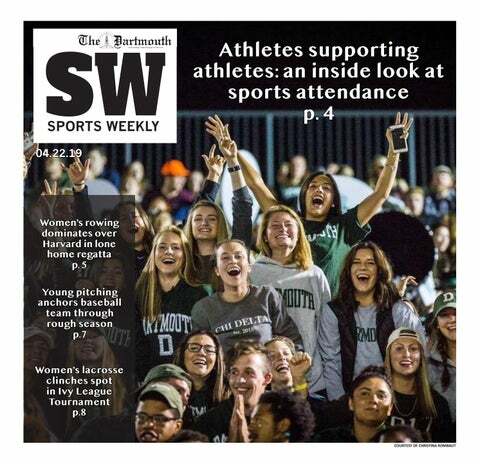 The Dartmouth regrets this error.